Organisers of the 2020 Olympic Games in Tokyo have unveiled a budget of between ¥1.6 trillion (£11 billion/$13.6 billion/€13.1 billion) and ¥1.8 trillion (£12.4 billion/$15.3 billion/€14.7 billion). 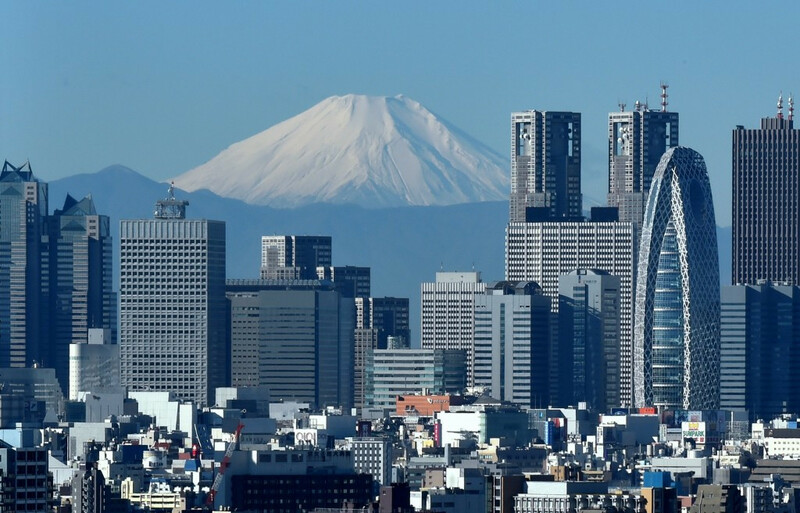 The official cost estimate, revealed during a Four-Party Political Working Group meeting, is down from the maximum budget cap of ¥2 trillion (£13.8 billion/$17 billion/€16.4 billion) cited by Tokyo 2020 President Yoshirō Mori last month. 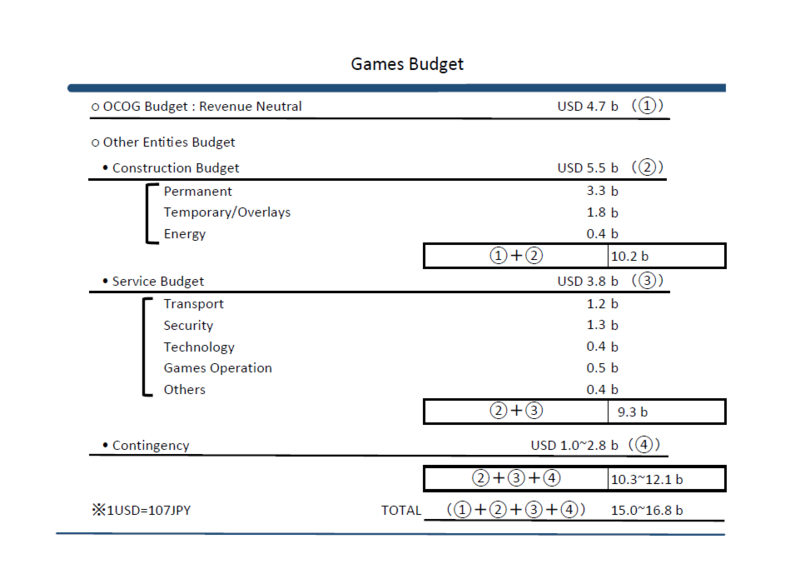 It includes ¥590 billion (£4.1 billion/$5 billion/€4.8 billion) to construct facilities and other infrastructure, ¥410 billion (£2.8 billion/$3.5 billion/€3.4 billion) for costs like transportation, security and other operational expenses, and a contingency of between ¥100 billion (£688.5 million/$850.9 million/€817.9 million) and ¥300 billion (£2.1 billion/$2.6 billion/€2.5 billion). Revenue from sponsorship, ticket sales, licensing and International Olympic Committee (IOC) contributions, totalling ¥500 billion (£3.4 billion/$4.3 billion/€4.1 billion), is also factored in. Around 10 per cent of this is estimated to be for the organisation of the Paralympics, a calculation made based on the results of the London 2012 Games. The cost estimate is still more than double the original projection made during the bidding process, but that did not include security and transportation costs. "The four parties - the International Olympic Committee, the Tokyo Metropolitan Government, the Government of Japan and Tokyo 2020 - will continue to work towards optimising even further the budgets," a Tokyo 2020 statement reads. 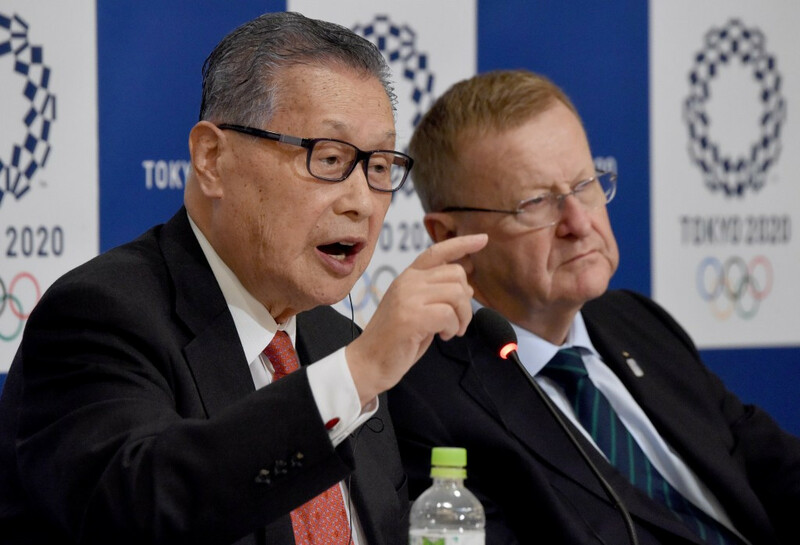 "Tokyo 2020’s commitment to deliver Games at the highest level, in accordance with the schedule, and with the best experience for athletes and fans alike remains at the forefront of all decisions made in relation to the budgets for the Games. 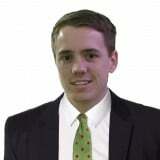 "The Tokyo 2020 Games will leave a number of positive legacies to Japanese society. "Sporting facilities that will be newly-built or improved, as well as enhanced security systems, technology, transportation infrastructure, and medical care, will continue to benefit Japanese society long after the Games. "Most importantly, it will provide a host of intangible but real benefits, through bringing the entire nation together, renewing Japan’s reputation as a cultural, technological and creative destination internationally, demonstrating Japan’s recovery from the 2011 earthquake and tsunami and inspiring young people to achieve their personal best." The latest revision of the figure comes after a Metropolitan Government Task Force warned in September that drastic changes must be taken to avoid the budget ballooning to ¥3 trillion (£20 .7billion/$25.5 billion/€24.5 billion). The amount was more than four times the initial one given during the bidding phase. Tokyo 2020 have sought to play down concerns over spiralling costs since, although the Task Force sparked further fears when they proposed venues for four sports - swimming, rowing, canoeing and volleyball - be moved to address the issue. An alternative aquatics centre and a rowing and canoe sprint venue 400 kilometres away at Tome in Miyagi Prefecture were each rejected in favour of downscaled versions of existing plans for new venues in Tokyo - the Olympic Aquatics Stadium and Sea Forest course respectively. Tokyo Governor Yuriko Koike then announced last week that plans to stage volleyball at an existing venue in Yokohama had been scrapped in favour of the original proposal of building a new facility in Tokyo Bay. The Ariake Arena was put forward in the initial plans and was confirmed as the venue for the sport at Tokyo 2020 by Koike. The Governor has also claimed building the Ariake Arena will cost significantly less than first thought - ¥33.9 billion (£233.7 million/$288.3 million/€277.3 million) instead of ¥40.4 billion (£278.4 million/$343.6 million/€330.5 million). The aquatics and canoeing venues due to feature at the Olympics and Paralympics in the Japanese capital have also been the subject of significant savings, according to Koike. The Aquatics Centre will set organisers back ¥29.8 billion (£205.4 million/$253.5 million/€243.8 million) rather than the initial projection of ¥49.1 billion (£338.4 million/$417.7 million/€401.8 million), while the rowing and canoeing facility is now due to cost around ¥52 billion (£358.4 million/$442.3 million/€425.5 million), down from ¥68.3 billion (£470.9 million/$580.9 billion/€558.9 million). December 2016: Tokyo 2020 President claims identifying division of roles between different Governments is "largest challenge"